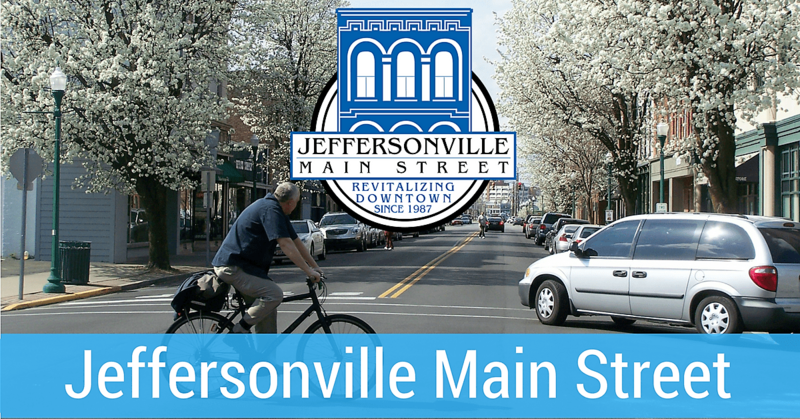 Jeffersonville’s downtown revitalization organization, Jeffersonville Main Street Inc., has been designated an accredited Main Street America Program for meeting the rigorous performance standards for downtown revitalization as set by the National Main Street Center. Each year, the National Main Street Center and its state partners announce the list of accredited Main Street America programs in recognition of their exemplary commitment to improving their community through preservation-based economic development and downtown revitalization. Jeffersonville Main Street Inc.’s performance was evaluated by Indiana Main Street, which works in partnership with the National Main Street Center to identify the local programs that meet meticulous performance standards. Evaluation criteria determines the communities that are building comprehensive and sustainable downtown revitalization efforts and include standards such as fostering strong public-private partnerships, securing an operating budget, tracking programmatic progress and actively preserving historic buildings. Ellis said the national accreditation reflects very well on both his organization and the whole community as an affirmation of the progress achieved in downtown revitalization as a key component of economic development. New businesses opening in downtown Jeffersonville helps add to the dynamic of downtown as a destination, said Ellis. He also conveyed that the economic development of Downtown Jeffersonville is critically important as it relates to the success of all of Jeffersonville. Jeffersonville Main Street, Inc. is the Downtown Revitalization Organization for Jeffersonville, Indiana. It is a 501 (c) (3) nonprofit organization working to continue the revitalization of the commercial and residential districts of Downtown Jeffersonville. The Main Street organization oversees a wide array of projects from hosting downtown events and business development to building renovations and streetscape enhancements. The organization uses skills in design, promotion, organization, and economic vitality to achieve its goals.